They call themselves Big Head Todd & The Monsters. 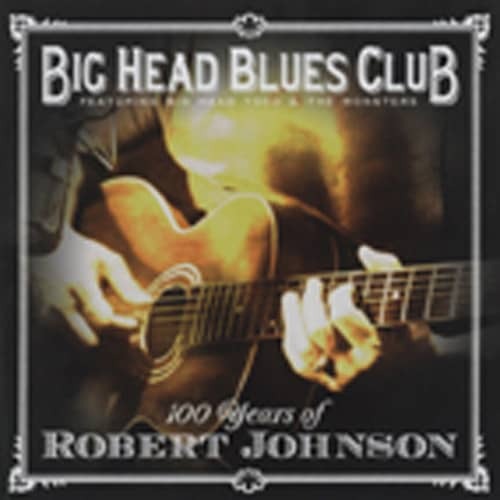 On May 8, the blues world was celebrating Robert Johnson's 100st birthday, and the band decided to do a Johnson tribute CD. Okay. Some of their re-works are sounding pretty originals, others don't. But thanks to all the great guest players, the Big Head Blues Club turned into a worthwhile project. Featuring: B.B. KING - gtr/voc, HUBERT SUMLIN - gtr, CHARTLIE MUSSELWHITE - hca, DAVID 'HONEYBOY' EDWARDS - gtr/voc, RUTHIE FOSTER - voc, LIGHTNIN' MALCOLM - gtr, CEDRIC BURNSIDE - drums. Customer evaluation for "100 Years Of Robert Johnson"